(1) A & R Shah Limited trading as ‘Limotek.co.uk’ (hereinafter referred to as ‘Limotek’) of 4 Timothy Place, Pool Close, West Molesey, Surrey, KT8 2HR. Agreement Refers to the terms and conditions identified and contained herein and to which, by confirming your booking, you agree to accept. Balance Refers to the balance of the sum, following payment of the deposit or booking fee, due from you in relation to the hire agreement and which you agree to make payment of to the Operator. Booking Your agreement to enter into a contract with us for the purposes of hiring a limousine in accordance with your instructions for payment. Deposit The initial payment made to Limotek by you as confirmation of your booking and agreement to the terms and conditions identified herein. Booking Fee The initial payment made to Limotek by you as confirmation of your booking and agreement to the terms and conditions identified herein. You Refers to you personally and/or your travelling party and/or any person authorised by you to discuss or amend the details of this hire agreement, but not it’s content. The following terms and conditions are based upon your specific instructions, which you accept are accurate by confirming this booking. Should you provide information that is inaccurate or misleading, we reserve the right to re-calculate our charges and/or terminate the booking. 1. Deposit & Booking fee - By payment of the deposit & booking fee, you agree that you have read and accept these terms and conditions and agree to be bound by them accordingly. Your booking will not be accepted until such time as the deposit or booking fee is paid and received by us. Please note that the deposit and booking fee is non-refundable in any circumstance. 2. Balance - The balance of the payment due shall be payable to the Operator directly and upon their request. The Operator retains the right to terminate the agreement if payment is not made upon demand or if the Operator considers that it is unlikely that the balance will be paid. Such termination is at the Operator’s absolute discretion. The Operator shall be entitled to contact you in advance of hire directly, to seek payment of the outstanding balance in advance of the date of hire and in the event of unreasonable refusal, shall be entitled to terminate the booking with immediate effect. 3. Confirmation - We will confirm the details of your booking in writing or by email and will endeavour to ensure that the booking remains unaltered. However, the Operator retains the right to vary or alter the booking up to and including at the relevant time of hire, at their absolute discretion and at a cost to be determined by them in the event of an intervening and/or unforeseen circumstance. 4. Amendments - You are entitled to amend your booking up to seven days before your date of hire. Such amendments may incur a cost and we shall notify you of any such cost at the time you make the amendment. Such costs are incurred due to the fact that all amendments will require the completion of new documents and confirmation slips accordingly. Amendments will be made subject to availability. Should your amendments result in the cancellation of the agreement, our standard terms of cancellation shall apply. 5. We reserve the right to amend or alter these terms and conditions at any time. Should we decide to do so, we shall provide you with a copy to your home or email address at the earliest opportunity. Upon receipt, should you wish to raise an objection to the amended terms and conditions, we will provide you with forty-eight hours within which to do so. We shall not amend our terms and conditions within forty-eight hours of the agreed date and time for hire. In the absence of a response, we shall be entitled to presume that you have accepted any relevant amendment. 6. Replacement - If and in the unlikely event, your designated vehicle is unavailable, we will endeavour to obtain and replace your vehicle with an equivalent or better model, but we are unable to guarantee any specifications to said vehicles including, but not limited to, vehicle colour, interior features, decor or style of the vehicle. 7. Your safety and enjoyment is our paramount concern and so we reserve the right to change your designated vehicle, but we shall only do so, if we consider that, for whatever reason, we consider your designated vehicle is unroadworthy, unsuitable or unfit to perform your contract. We shall only do this in exceptional circumstances and shall endeavour, but cannot guarantee, to notify you of any alterations. In the event of alteration, you agree that Limotek shall not be liable or responsible for any loss or disappointment caused or occasioned. 8. Cancellation – All cancellations are subject to a minimum cancellation charge of £150. The extent of that charge is dependent upon when notification of cancellation is provided. All cancellations MUST be in writing, either in correspondence or via email. The Operator and Limotek may decide not to impose the cancellation charge, but this is entirely dependant upon circumstances, which we/they will determine in our/their absolute discretion. We do not accept cancellation of any booking by telephone. We advise you to retain evidence of postage or service of the cancellation notice. In the event of cancellation, we shall provide to our Operator, your personal information for the purposes of securing recovery of any cancellation charge. By accepting these terms and conditions, you consent and authorise us to provide to our operator your personal and/or credit/debit card information and authorise, in the event of cancellation, payment of the cancellation charges to a minimum of £150 which can be taken either by Limotek or the operator. In the event that the Operator seeks to recover the whole booking fee, they shall provide written notice of the outstanding sum. If no dispute is raised within seven days, you authorise our Operator to claim upon your credit/debit card, the entire cost of booking and any associated administration costs. 9. Exceeds Time of hire - If the vehicle hired exceeds the time stated, an extra charge of £150.00 will be due for every hour exceeded. If this payment is not made to the driver, it will be debited automatically from the card details in which the booking was made by either us or the operator, and you the hirer give us the authorisation to do so. 10. Termination - We reserve the right to terminate any agreement, at any time, if we consider that the purpose of the hire or the payment made or balance due, comes from or relates to a dishonest or illegal activity. 11. Your Liability - You agree that neither you, nor any person in your party, shall commit any criminal offence whilst in occupation of the Operator’s vehicle or act in a manner that is disruptive, offensive or threatening. The Operator reserves the right to terminate the hire with immediate effect and eject any and all passengers. Neither we, nor our operator shall be liable for any subsequently incurred travelling or re-patronisation costs. You agree that neither you, nor any person in your party, shall smoke inside the vehicle. You agree that neither you, nor any person in your party will cause any damage to the vehicle and you agree that in the event that you or any one of party do cause damage to the vehicle, whether deliberately or otherwise, that any and all repair costs shall be your responsibility and we and/or our Operator are entitled to pursue you accordingly, for any and all costs incurred, including hire of any other replacement vehicle. If and in the event that you or a member of your party cause damage or act in an inappropriate manner, no refunds will be provided and we and/or the Operator reserve the right to pursue you for any damage incurred or loss of hire. 12. Limitations - Limotek will not be held liable for any financial or personal loss, personal injury or damage, howsoever caused or occasioned and you agree that you will not pursue any legal claim against us for the acts or omissions of the Operator. 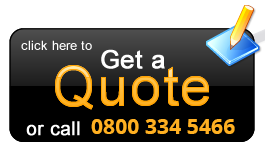 We confirm that all our Operators are fully and individually insured with a valid and ongoing policy of motor and public liability insurance. 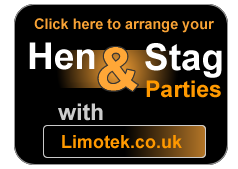 Limotek are solely responsible for the booking and hire of the limousine or relevant vehicle. The limousine company are and remain responsible for the provision of a regulated and relevant driver or chauffeur. Neither Limotek nor the Operator will not be liable for any personal or financial loss arising from the cancellation or delay of the hire in the event of matters arising that our beyond our control – such matters including, but not limited to, acts of terrorism, war, riot, civil or public disturbance, industrial disputes, fire, road traffic accidents, road works or technical problems with regards to the Operator’s vehicle. 13. Own Insurance - We recommend that if your hire is for a specific purpose or event, that you have or obtain your own policy of adequate and sufficient insurance, relevant to the specific purpose or event. 14. Complaints –In the unlikely event that you should need to pursue a complaint, we invite and direct you to address your complaint directly to our Operator, who will respond within 21 days of receipt of a complaint being received. You agree that any complaint or claim for re-imbursement will be directed to our Operator and that Limotek shall not be liable for any claim or compensation. 15. Rights - Our terms and conditions do not affect your rights as a consumer. 16. Jurisdiction - the laws and jurisdiction of England & Wales govern this agreement. 4 Timothy Place, Pool Close, West Molesey, Surrey, KT8 2HR. Telephone Number 0871 789 9911.